Greater Noida (31/10/18) : Gautam Buddha University is one of the most well known university’s in the region. With a sprawling campus that boosts of unparalleled infrastructure, the University has all the potential it requires to create a niche for itself. Now with a full time Vice-chancellor after a long gap, this dream of GBU turning into a place of academic excellence looks closer than ever before. 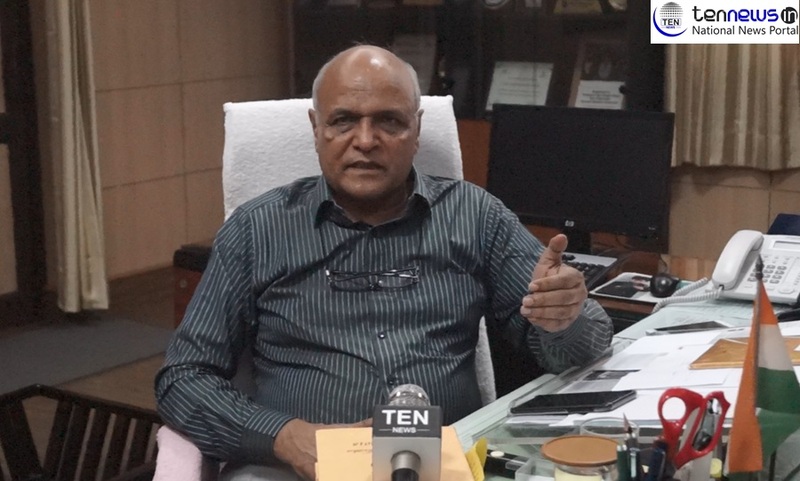 Professor BP Sharma was appointed as the Vice-chancellor of Gautam Buddha University on September 27. With an academic career of as much as 40 years, Sharma is one of the well know Authority’s in India in the field of economics and management. His expertise in these two fields is surely going to help University grow in full pace. Ten News on Wednesday spoke to Professor BP Sharma to know more about his vision for the university. He also highlighted the significance of Industrial collaborations and shared the University’s plan in this regard. “To fulfill all this we had planed four industrial round table conferences with different industries to increase the industry- academia collaboration. In recent time lot of archeological excavation had taken place and a lot of work is happening in the field of archeological genetics. But all this research is not getting included in our core history syllabus, so by making changes in our university syllabus we will try to include this updated information to our curriculum”. He also emphasized on encompassing moral education in the students to ensure that when they come out of colleges, they become a responsible citizen. “For improving our placements we will be conducting a pre placement week in which we will be offering the industries to outsource our students so that students can get opportunity to experience the professional world,” he added. He also said that sports infrastructure of the university would be utilised to encourage students in getting excellence in sports. “Apart from academics we also have a very good infrastructure for sports in our campus so we will sensitize and encourage our students to take part in sports and motivate them to reach a level where they can represent the country on international level,” he said. Sharma also elaborated about need of focusing in research and patents to get better rankings in the global ranking system. Niti Ayog and Dun & Bradstreet Host ‘Infra Awards 2018’ in Delhi!